Listen to our organ here. 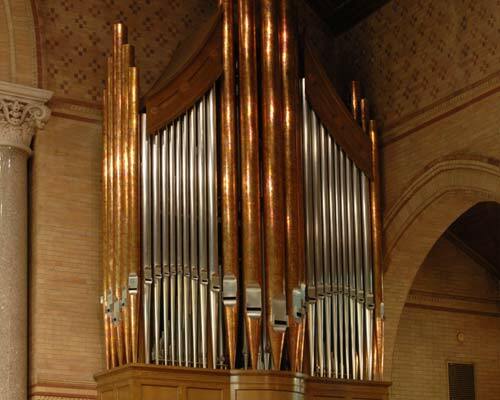 The instrument at St. Stephen’s incorporates the work of Austin (1905), Aeolian-Skinner (1954), and later, Allan Van Zoeren. Berghaus rebuilt the organ so that the “new” instrument successfully assimilated the disparate tonal qualities of the previous builders. The result is a highly successful instrument that enhances the Anglican liturgical tradition and is often showcased in programs by Canon Mark Laubach. To celebrate the 10th anniversary of the Berghaus organ dedication a Recital by Ken Cowan (organ) was held on Sunday March 10th 2013.